Amy Chastain has made a lot of enemies - none so ruthless as the insanely powerful New Ruling Order (NRO). When they killed her husband, it was hell. Then they targeted her children by injecting them with a dangerous, experimental isotope. 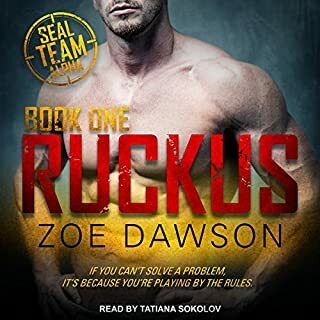 Now Amy trusts only one man to help her: the ex-commander of SEAL Team 7. In the company of Navy SEALs, Jace “Mac” Mackenzie was in his physical element. Now he’s on the run from the same cabal that poisoned Amy’s children. That doesn’t stop him from launching a mission to bring down the NRO - and find an antidote. But the clock is ticking. And as the sparks fly between him and Amy, Mac realizes he has more to lose than ever before. ©2018 Trish McCallan (P)2018 Brilliance Publishing, Inc., all rights reserved. Great series. Enjoyed the character development and constant plot twists. The characters were very likable. Must be read in order. Each story ends with a cliffhanger. 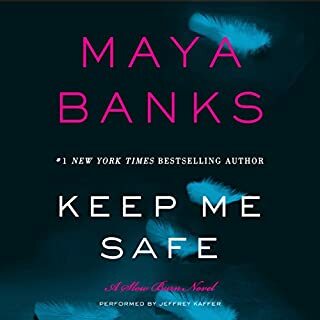 As each book was released, I went back and listened to each book again, therefore reading through audible the first book at least 4 times. 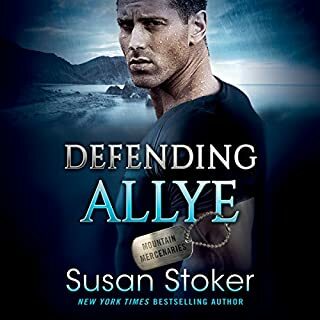 Highly recommend if you like military intrigue. After waiting almost 2 years for the conclusion to this story I think I expected more fireworks from the ST7 team and Shadow Mountain team vs the NRO but after a second listen to the previous 3 editions number 4 tied it up pretty much. No more spoilers from me. 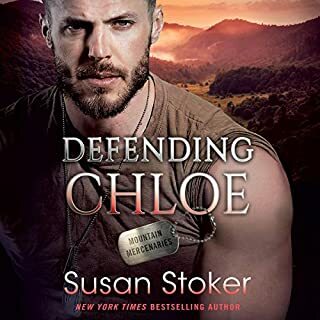 I enjoyed this book and series greatly. I definitely recommend this series. It has action, adventure, suspense and romance. The narrator Luke Daniels has an excellent job at bringing the characters to life. This was purchased on 70% members thank you sale. Book 1 is narrated by my fave Angla Dawe. That story is great and not to be missed. See her in mystery author Marcia Clark series. I loved the character Amy and her sons in book 1 so I had to get this story about her. At book 1 it never dawned on me that this series was a modern paranormal until I started listening to this story. I have skipped the other heroes stories as Luke is not my fave narrator even though his brother James is one of my all time favorite narrator eg any Robert Crais Mysteries. Do not get me wrong, I own about 12 books he narrates, but the old adage about the other brother can do no wrong seems to apply for me. When he deepened his voice like he does in this book for our hero, its fine. Great female voices. His portrayal of the Iron Druid Chronicles is spot on. If you like American Indian tribal rituals, then books 2,3,4 are for you. If you read book 1 you will see how strong and resourceful our heroine Amy was under fire. I loved our hero Mac in book 1, who would not love him after he takes action on behalf of Amy. This story started fine but never got to the building excitement speed. It read like an editors galley but never had me feeling the same excitement and adventure as book 1. Such a shame as Amy and Mac in book 1 are not to be missed. I do use 1.25x speed to match the author intentions. 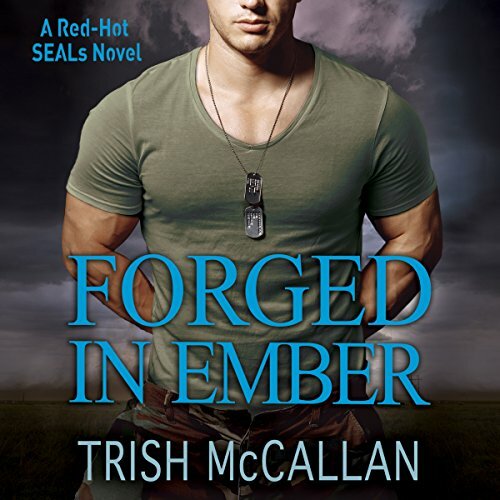 Trish has a hit with this Red-Hot SEALS series. Every book was filled with action, suspense, and romance. 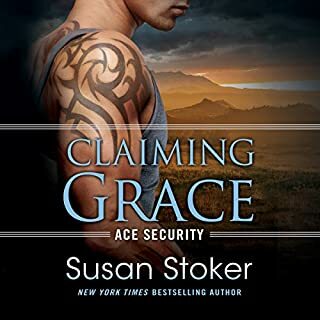 Her imaginative stories kept me riveted from start to finish and I enjoyed how each book in the series segued into the next with the interaction of the team. Definitely worth your time! This book was not only written incredibly well but narrated brilliantly! I absolutely loved every minute of this series! First thing to say is Trish McCallan, sure keeps one on the edge of their seats with this particular series. I kept this one in my wish list until I felt I could read it without the old blood pressure sky rocketing. Certainly was not disappointed by any means. Felt that Mac and Amy's story was going to be good. And once again was not at all disappointed. Only thing I didn't like was the Uncle getting killed. And agree with reviewer Carouse I would like to hear more of what happened to Faith. Likewise I also agree with Kelly R. And want Wolf's full story. Plus more about the Shadow Mountain team. Really loved hearing the Arapaho language spoken. So do hope you continue to carry on with this series. Although I've like all of the narrator's, I would personally like to hear the next one with a full cast and sound effects. Feel It would bring so much more to the series. Still love the series and thisone was Intriguing&Great. dissapoint that Faith didn't play a part. this is a great series and well worth a credit. the Story is well written and the narrator is wonderful as always. Enjoyed this book and the characters immensely. Luke Daniels does a great job giving characters unforgettable voices.